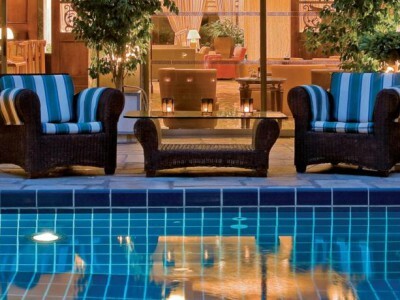 Suggested Hotels - GS Travel S.A. 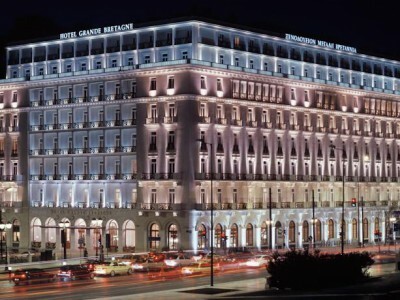 The 5 star Hotel Grande Bretagne, Athens - A historic landmark in the heart of the city. 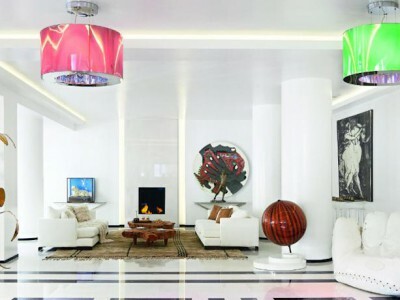 Entwining old and new, this simply irresistible luxury hotel, sits just below the shadow of Acropolis, moments away from the old quarter of Plaka. 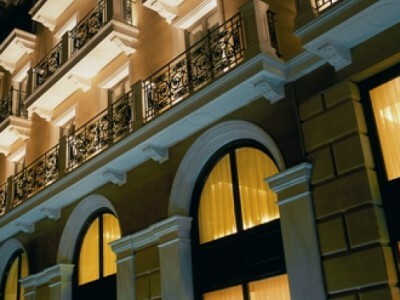 At the very heart of Athens, Grecotel Pallas Athena is an art boutique hotel for luxurious downtown living. Named after Electra, the character of ancient Greek theatre and literature who became a symbol for her love to her father. 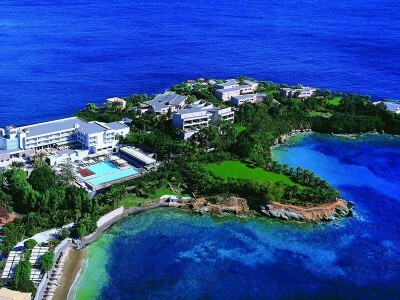 Set on the beachfront of Kallithea, this luxurious all-inclusive resort enjoys a tranquil beachfront location. 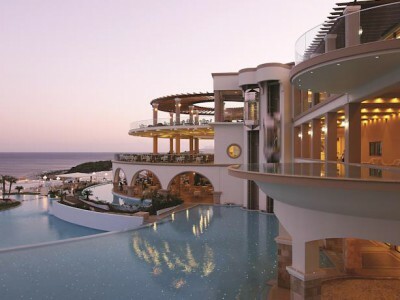 Eagles Palace is one of the most breathtaking Halkidiki sea view hotels in Greece. 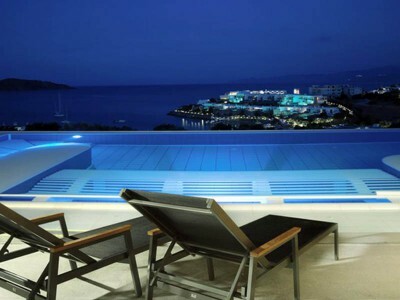 Aegean Melathron is a luxury, 5-Star hotel and a member of the Aegean Star Hotels Group. Ideal for traditional, all-season hospitality, this hotel is spread right on the luscious coastal area of Sithonia in Halkidiki like a welcoming village!! 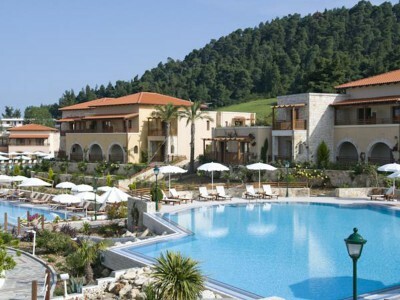 The Rimondi Grand Hotel and Resort is located in a serene and exclusive setting on a hilltop of an Olive Tree plantation, overlooking the Agean Sea through a beautiful green valley. 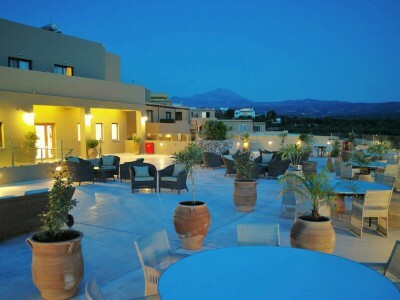 This 5-star deluxe resort is situated along the coast of Elounda. 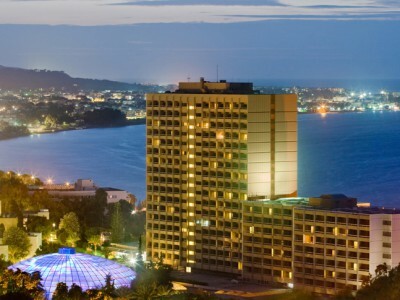 All rooms have views of Mirabello Bay. Guests can play golf or tennis on site, or relax at the spa. Set on its own private beach overlooking Mirabello Bay, this Elounda retreat offers award-winning cuisine, a spa and 3 swimming pools. Everything composes an unforgettable picture. 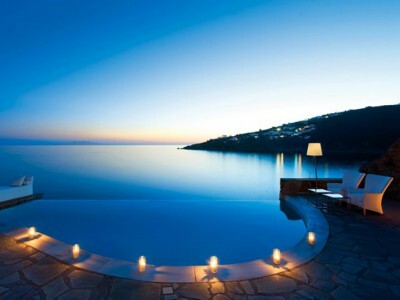 One of the best luxury hotels in Mykonos & is dedicated to providing a celebration of the senses. 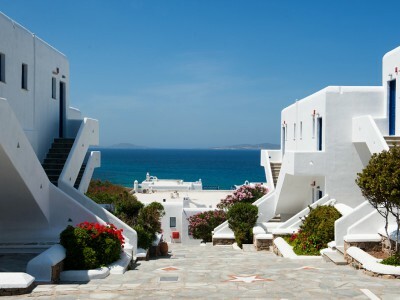 Built in authentic Cycladic style with traditional whitewashed walls and deep blue wooden shutters. On the island's most privileged location, Hotel Mediterranean is set in the heart of Rhodes' most popular sandy beach near the Aquarium. 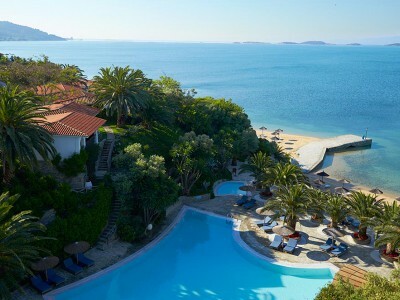 Directly by the sea front, on the south-east coast of Rhodes Island within the unspoilt landscape of Lachania, right on Lachania beach and close to Prasonisi where the Mediterranean and Aegean seas meet, stands The Atrium Prestige Thalasso Spa Resort & Villas. 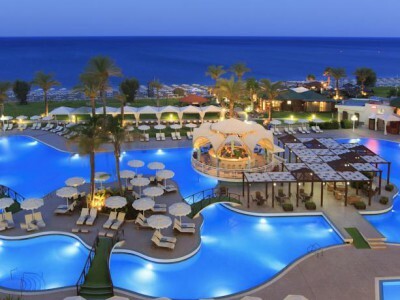 Rodos Palace is regarded as the finest deluxe resort complex on the island of Rhodes, on a superb location just 2,5 kms from Medieval City of Rhodes. 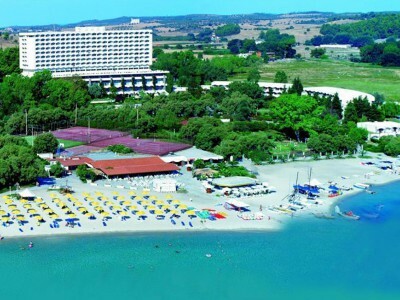 This 5-star hotel is located directly on the Kallithea beach. 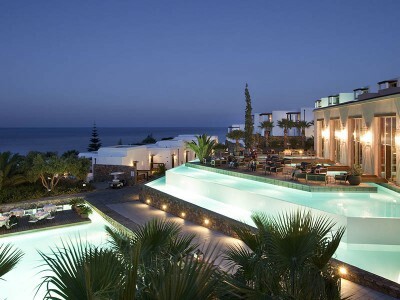 With luxurious rooms and grand pools, the Palladium offers full relaxation 9 km from historic Rhodes. 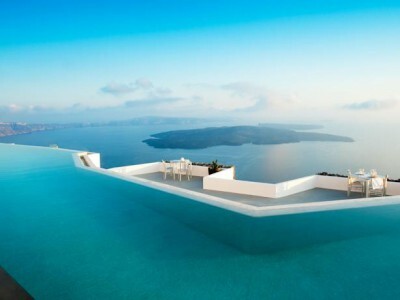 Never before did the island of Santorini have a hotel as worthy of its aesthetics as the luxurious Majestic Hotel Santorini. Tucked into the rock with commanding views of Santorini archipelago, Petra Villas offers traditionally white-plastered rooms and apartments. 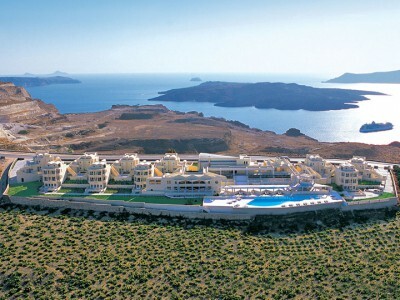 Located in the beautiful setting of Imerovigli in the northwest of the island, high above the Caldera, the Grace Santorini is the perfect vantage point from which to view the famed Santorini sunsets that envelop the Aegean Sea, and the Cyclades Islands. 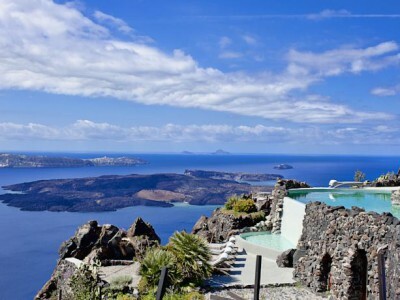 Centrally located in Fira and only steps from the famous Caldera, this family-run hotel provides a peaceful base for its guests, with excellent spa facilities and a beautiful outdoor pool area.